Jack The Ripper has been caught! 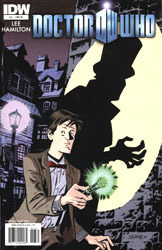 And even the Doctor has trouble talking his way out of this one! But why is the true Ripper following Amy? What is her connection to Mary Kelly? And how has Rory become the chief of police?